Below you’ll find our Pentax Option WG-1 GPS studio sample photos. 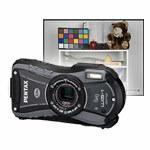 The Pentax Optio WG-1 is the latest rugged, waterproof, shockproof, freezeproof digital camera from Pentax. It’s a 14-megapixel camera with a 5x optical zoom lens and it comes in two versions – one with built-in GPS and one without. I was disappointed in the image quality of the last Pentax waterproof camera (Pentax Optio W90) but I think they have made some improvements with the Optio WG-1. 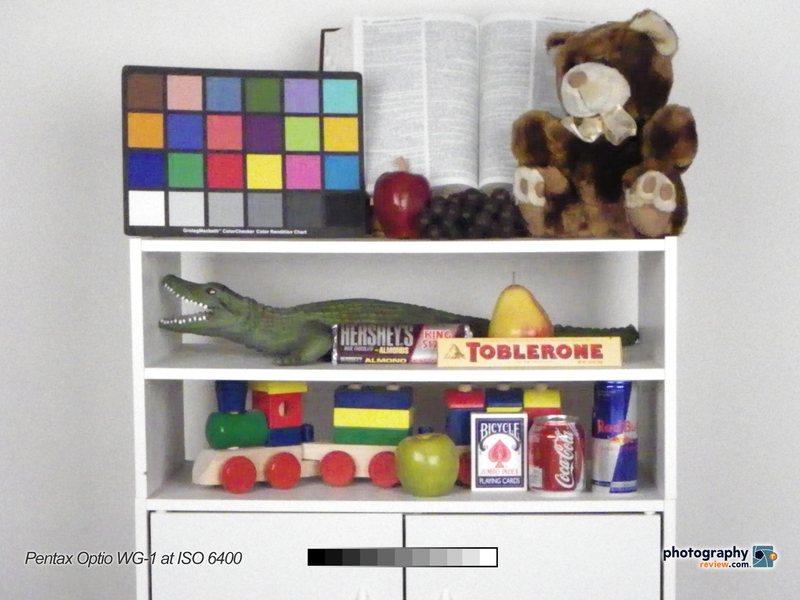 It looks pretty good at low ISO settings, although the image quality declines pretty rapidly after ISO 200. The top two sensitivity settings, ISO 3200 and 6400, are actually reduced resolution so I’d consider the real top sensitivity to be ISO 1600. It also looks like the camera’s exposure isn’t really accurate as the images get brighter as the ISO increases. 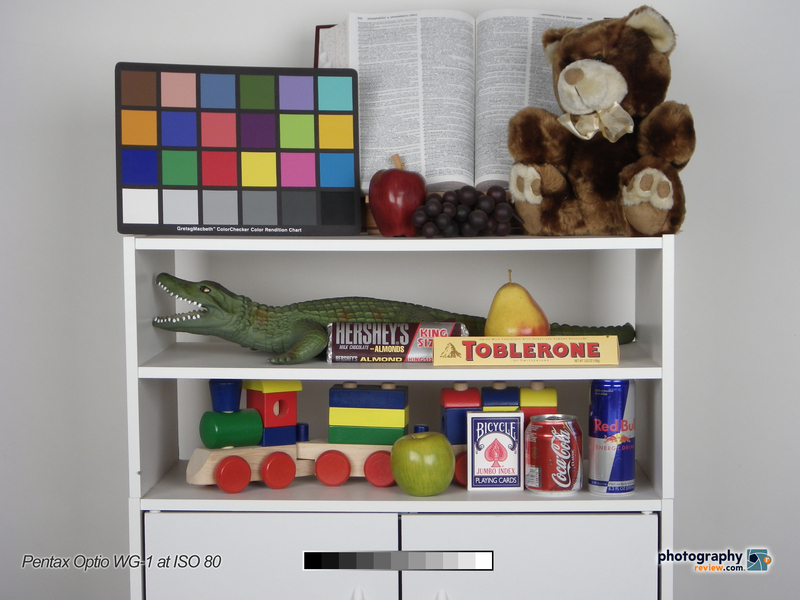 Our Pentax Optio WG-1 studio sample photos were taken at maximum quality in a controlled studio environment at all sensitivity settings. They’ve been posted here at the original resolution so you can view them at 100%, download and print them for comparison. The text, logo and graybar were added in Photoshop and the images were then resaved as maximum quality JPEG files. No exposure adjustments or noise reduction have been applied. Other than the text, graybar and logo, these photos are as the camera captured them. Click on the thumbnails below to see the Pentax Optio WG-1 sample photos at their original resolution. Warning: these files are BIG – be patient while they download.